The rapid and widespread usage of social media platforms, such as Twitter, Facebook and Instagram has given rise to unprecedented amounts of user-generated data. This data contains expressions reflecting users thoughts, opinions and affective states. Systematic explorations of this type of data have begun to yield valuable information about a variety of psychological and cultural variables. To date however, very little of this research has been undertaken in the Arab world. It is important to extend this type of macro-level big data analysis across cultures and languages as each situation is likely to present different methodological challenges and to reveal findings particular to the sociocultural context. 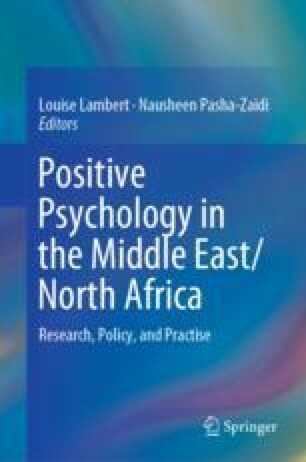 This chapter examines research—much of it our own—exploring subjective wellbeing in the United Arab Emirates (UAE) using data from Twitter and explores the findings from cross-linguistic analysis of happiness (positive–negative affective patterns of language use) and other variables associated with subjective wellbeing in the region. Additionally, we explore temporal patterns of happiness observed in relation to Ramadan and other events of sociopolitical and religio–cultural significance. The UAE focus is discussed with reference to broader trends in data science, sentiment analysis and hedonometry. Google. (2009). Google flu trends. Retrieved from www.google.org/flutrends. O’Connor, B., Bamman, D., & Smith, N. A. (2011). Computational text analysis for social science: Model assumptions and complexity. In 2nd Workshop on Computational Social Science and Wisdom of the Crowds (NIPS, 2011). Retrieved from http://repository.cmu.edu/cgi/viewcontent.cgi?article=1201&context=lti. Pennebaker, J., Chung, C., Ireland, M., Gonzales, A., & Booth, R. (2007). The development and psychometric properties of LIWC 2007 (www.LIWC.net, Austin, TX).